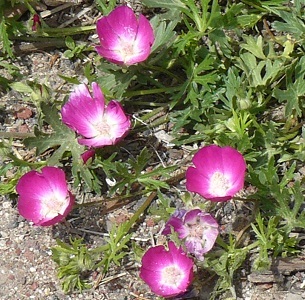 Winecups or Purple Poppy Mallow has striking wine colored blooms on prostrate stems which wind along the ground in and around other plants. Tough and long blooming, it prefers well-drained soil. Pollinators: native bees. Height x Width: 3 in. x 18 in.